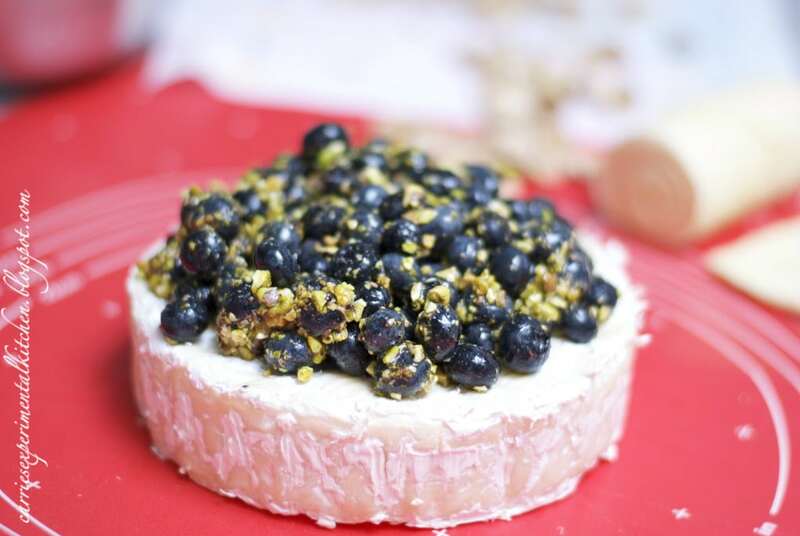 Fresh blueberries, chopped pistachios and honey top creamy Brie cheese; then it’s covered in refrigerated crescent dough and baked until golden brown. Brie is a pale yellow, creamy cheese with a white rind. For best flavor, it is best to buy it uncut in round wheels. I’ve said this before, but I don’t like to eat the white rind as it has an earthy taste to it and also makes it harder to peel off when baking a brie like this one, so I opt to gently scrape it off. The white brie rind is mold formed from penicillium candidum or penicillium camemberti and is harmless, unless you are very allergic to mold. A brie’s rind should feel firm and silky, not hard and crusty. 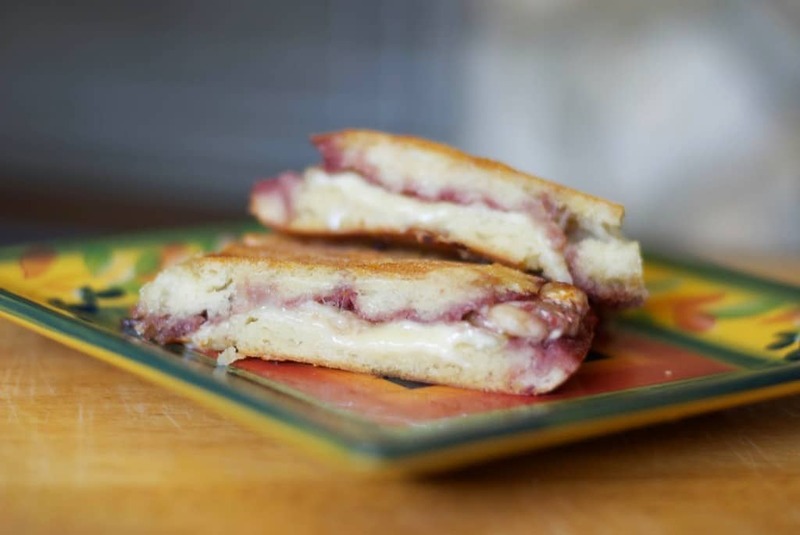 Brie bought or sold in the U.S, including imported brie, is made with pasteurized milk and does not have quite the same taste as brie made the traditional way in France, thus it has a milder flavor. The rind protects brie from the air and delays drying and loss of flavor. If you remove the rind, you should eat the creamy center within a day or so. 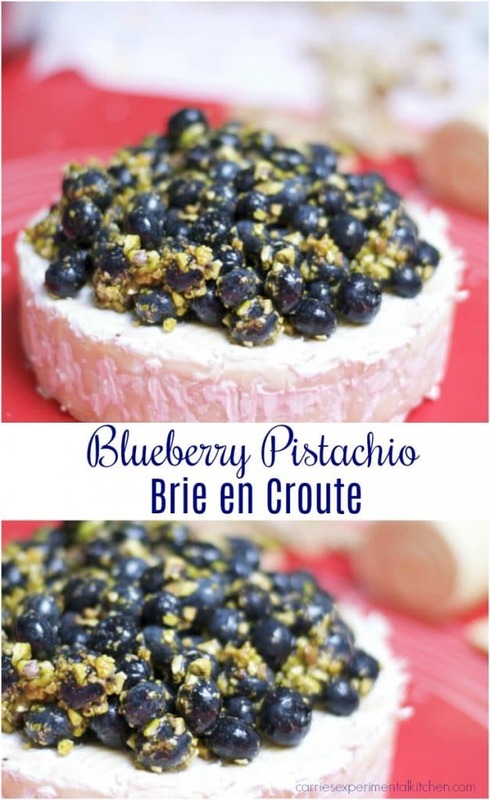 I just love brie and my sister in-law usually leaves it whole and tops it with a delicious blueberry spread she found at a local market. I didn’t want to drive 1/2 hour away to get some and I had some blueberries and a handful of pistachios and thought it might be nice baked instead. 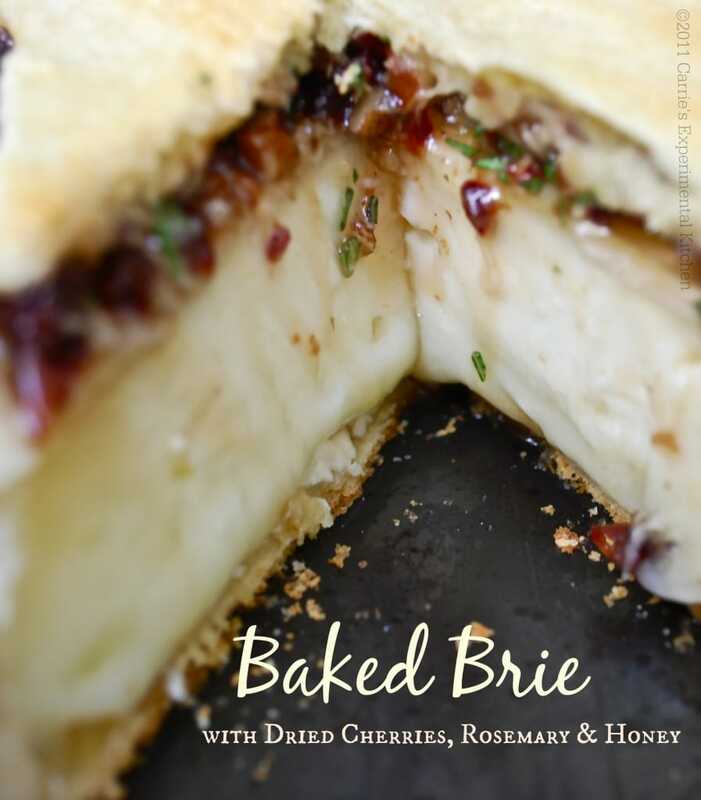 This brie was delicious and made a wonderful, flavorful appetizer. 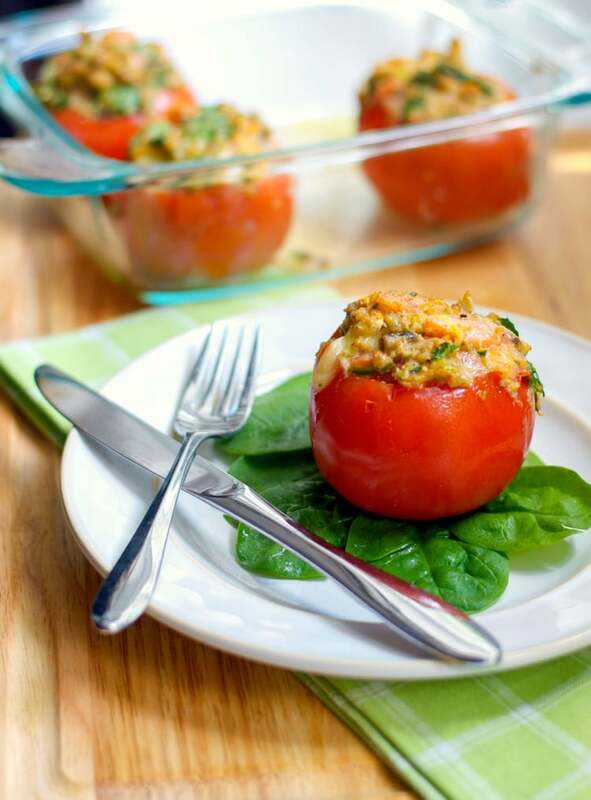 Serve it with crackers or fresh fruit. 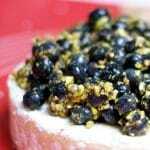 To make this Blueberry & Pistachio Brie en Croute, preheat your oven to 425 degrees. Using a mini chopper or a knife, finely chop your pistachio nuts. Add the nuts, blueberries and honey together in a bowl and mix well. Using a small knife, scrape off the white coating on all sides of the Brie. Add the blueberry mixture to the top of the Brie. Open the crescent roll dough and using a rolling pin, roll it out so that it will cover the entire Brie. (It’s ok if you have to piece it together). Cover Brie with the dough and place on a baking sheet with the seam side down. Bake for approximately 15-20 minutes or until crust is lightly browned. Remove from the oven and let cool 5-10 minutes before serving. Serve with crackers. ~Enjoy! 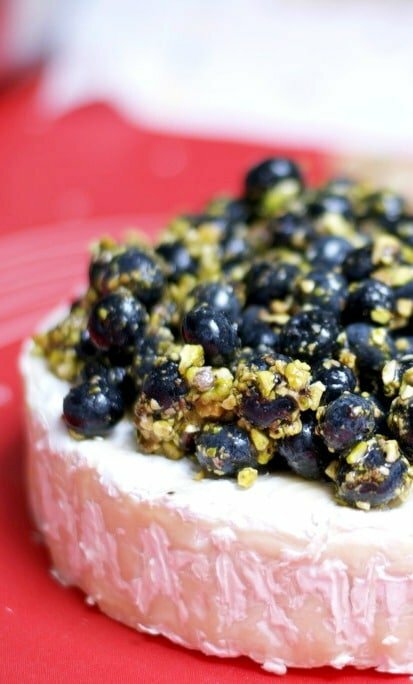 Fresh blueberries, chopped pistachios and honey top creamy Brie cheese; then it's covered in refrigerated crescent dough and baked until golden brown. Using a mini chopper or a knife, finely chop your pistachio nuts. Add the nuts, blueberries and honey together in a bowl and mix well. Add the blueberry mixture to the top of the Brie. Open the crescent roll dough and using a rolling pin, roll it out so that it will cover the entire Brie. (It's ok if you have to piece it together). Cover Brie with the dough and place on a baking sheet with the seam side down. Bake for approximately 15-20 minutes or until crust is lightly browned. Remove from the oven and let cool 5-10 minutes before serving. Serve with crackers. This is so up my alley!!! !